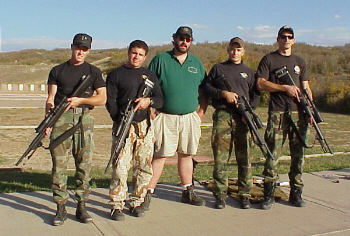 A few of the Denver SWAT Snipers and myself out at the range. Last fall, I rebuilt 11 Rem mod 700 Sniper Rifles for these guys. 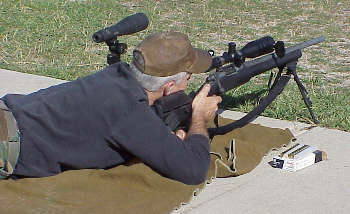 I used Shilen match grade 30 cal barrels that I chambered in 308. The finished length of the barrels was 21". 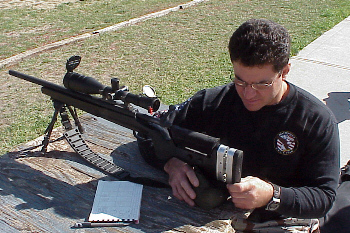 It makes these rifles a whole lot easier to handle. 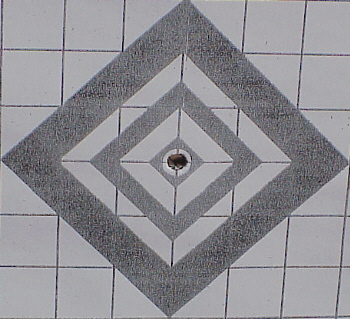 Cold barrel shot fired at 100 yards. That's OK, I would not believe it either if I had not been there and seen it with my own eyes.